On this day in 1829, William Austin Burt recieved a U.S. patent for the typographer, a precursor to the typewriter. The device was operated by hand to make the letter print onto paper. Maybe we shouldn’t complain the next time Word does someething squirrely. In other news, Historic Occasions designs are now available on Amazon. Sorry we’ve been absent for a while. Life’s been a little busy. And the truth is we post Monday through Friday at The Write Side of My Brain. Still, if we’re going to keep the news going about our little production company, we need to talk about…production. So, work with us here. More news is happening on the production front. Two meetings in the next week to talk about A Doublewide, Texas Christmas at CAT Theatre, and You Can’t Take It With You at Williamsburg Players. The 2018-2019 theater dance card is filling up. Here it is, a sunny Friday in March and we’re not sure if winter is yet behind us. In terms of production work here at Historic Occasions, I thought it would be good to give you an update on where things are, or aren’t. 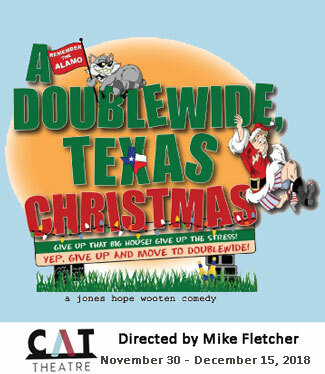 I’m directing Doublewide, Texas at CAT Theatre in June. The cast is complete and we have our first read-thru on Sunday evening. I’m excited and looking forward to getting to work with some amazing people. My script, Clean Dry Socks: Diary of a Doughboy, is complete and has, at this point, been submitted to one contest and there will be two more submissions in April. While I can’t share the details, there’s also a very strong possibility that the show will be produced here locally within the next year. Speaking of the next year, I’ve got a pending contract to direct a show in Spring 2019. I can’t yet share the details, but the announcement will be made in early April. On more exciting news, about which I must be even more vague, a random Facebook conversation this past week may lead to a dream opportunity to direct, produce, or act in…maybe all three, one of my favorite shows. The first meeting is Tuesday and there’s lots talk and dream about. 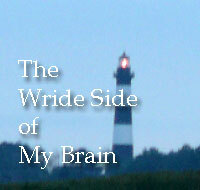 So, why all this rambling on a Friday on this blog and not my regular blog, The Write Side of My Brain? In part, because I’m sitting in Panera and figuring out how I can, indeed, blog from the iPad. Work with me, I’ll be sixty in a few months. So, this is somewhat revolutionary. Plus, while I post here randomly, I’m taking a two-week break from the other blog. Just some time to regroup and figure out the balance between the writing and the production. It’s also a bit of a shift for this blog. For years, Historic Occasions has been the framework for meeting and event planning, but that’s shifting to theatrical productions and historical events. Don’t get us wrong, we can still produce a kickass meeting for you, whether it’s a conference, or a wedding reception, or just for grins. 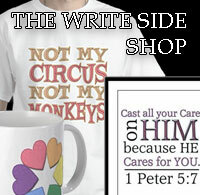 But, this blog, as well as this company, is a work in progress. Stick with me here and you’ll be able to follow that progress. Deep within all of us is a desire to create things, to make things happen, to do things. Here are ten of our favorite quotes about creating. My script, Clean Dry Socks: Diary of a Doughboy, had its first public reading last night before the Richmond Playwrights’ Forum. I am grateful for the opportunity to present my work, and am particularly grateful for the six actors who took an evening of their time and shared their talents. I also appreciate the words of encouragement and instruction from the members of the Forum. This has been a long time coming, and I’m excited about the prospects for the future. As for last night’s experience, well, it was actually pretty good. I mean, no one stepped up and said here’s a million dollars, let’s put this on the stage. But the comments were supportive, and encouraging and gave me some new direction as well as solutions to some of the problems. It remains a work in progress, and I have work to do. But today, I’m a little farther down the road, a little closer to the stage.